You need a account on the daycape.com website. To read more click here. 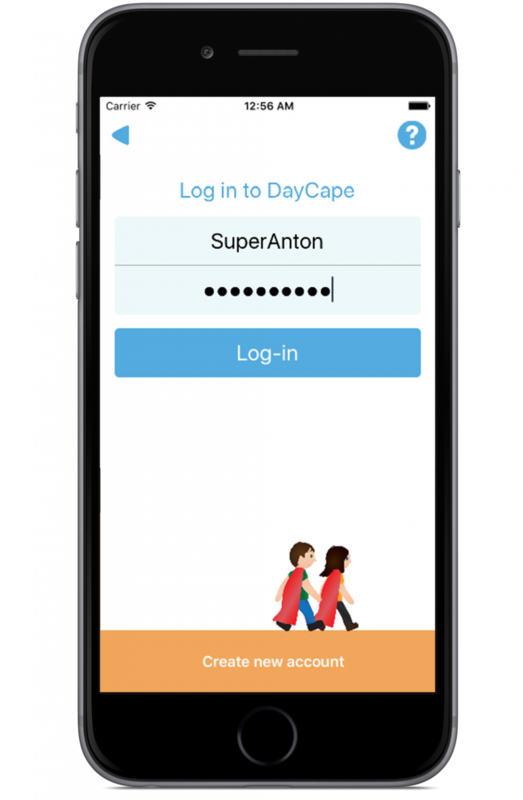 When the CapePlanner has created an account and created a list of activities, it is time for the CapeUser to log in to the app. DayCape can be downloaded free of charge from the AppStore (iPhone) or GooglePlay (Android). 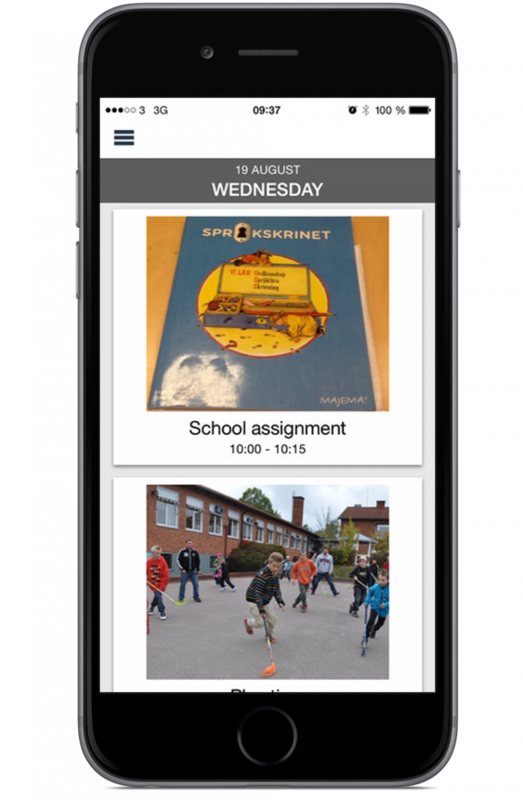 In the app, you have simple overview of your daily schedule and reminders. With a one time login you´ll stay connected to the schedule that a parent, teacher or someone else can create for you during the day. When new activities is added they will automatically appear in the app even if the app isn’t open. First you need to login. For this your CapePlanner must give you the ID number and password that you need to log in. 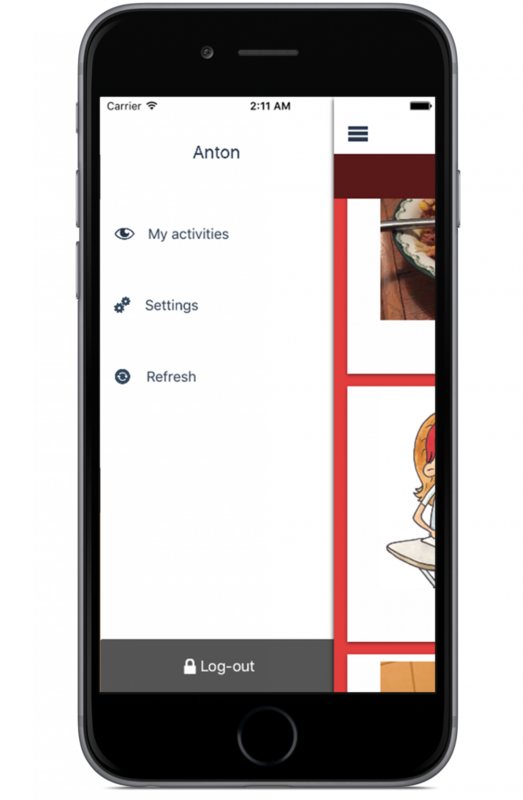 The app gives you an overview of the planned activities and will automatically show which activity is the next one. You can also see what you did yesterday, what is happening today, and what tomorrow has to offer. All activities listed from the past in the top and the coming in the botton. When it is time for an activity the the phone notifies you with a sound. Then the activity that is due becomes green and a timer starts. The time meter counts down how long it will take to complete the activity. The colour of the timer shows how much time has passed since the activity started. It is different in length and have different colors depending on how long the activity takes. Blue short meter – 15 minutes or less. When you have carried out an activity, you can share how you feel about it with other people by choosing a suitable face icon. When you click on an activity you will see a overview of the activity and you can see whether it contains a description. Every day has its own backgrunds color to make it easier to keep track of what day you are on. The colour of the background to each activity changes when it is carried out. The menu contains further functions, and we plan to add settings that allow you to change the functions and design of the app in the near future. Open the menu by clicking on the three short bars in the left corner. This will make further functions available. This function displays an overview of your image calendar. Click here if you are wondering how to use the app. New activities are automatically downloaded every 30 minutes (also when the app is closed). Click on the “Reload” button to download new activities (if any) at any time. The app will never log you out unless you request it to. If you want to log out, simply press the button.